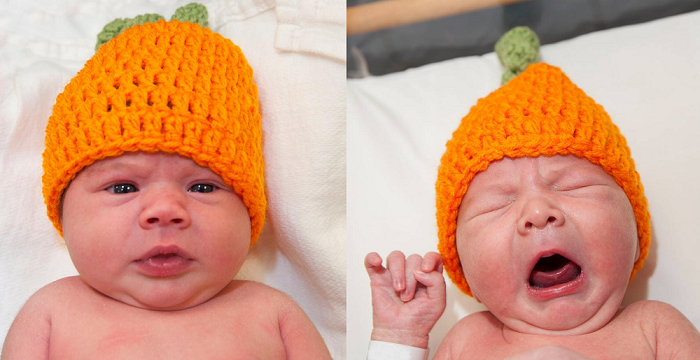 The Allegheny Health Network shared some adorable pictures of their littlest pumpkin patch growing strong, and they are just too precious! 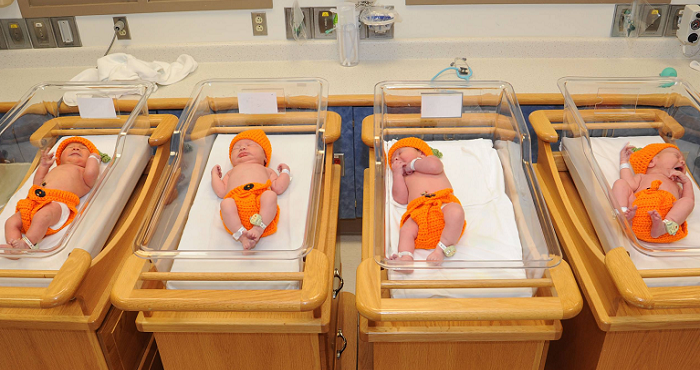 Newborns at their Forbes Hospital in Pittsburgh were given a festive surprise – perfect pumpkin costumes fit for the most perfect babies! The teeniest patients are working hard to get strong, but it means that they are missing out on celebrating Halloween! To help them celebrate the spookiest holiday, cute little crochet costumes were made just for them! Small orange hats and teeny orange bottoms adorn these cute pumpkins, complete with a bright green stem! Not everybody was in love with their costumes, however…those little caps might help to keep them warm, but they don’t have to like it! That’s one angry pumpkin! While other babies might be dressing up as scary pirates or spooky ghosts, these little babies have dressed up as the cutest little pumpkins and are already getting ready for next year!